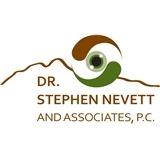 Dr. Stephen Nevett and Associates (Seattle) - Book Appointment Online! Our goal is to provide you with a thorough eye exam in a professional environment. Customer service is extremely important to us, and we strive to make your visit efficient and enjoyable. For your convenience, we are open seven days a week, and we accept walk-in patients.Our services include routine vision exams, contact lens fittings, Refractive Surgery co-management, and medical eye exams for many types of diseases and trauma. No pressure! Great first visit.